This is my favorite tiny house so far from Relax Shack.com “Derek “Deek” Diedricksen (HGTV’s “Tiny House Builders” and “The Micromen”), tours a rustic, country cabin/tiny house located on a 5 acre organic homestead in beautiful Argyle, NY. This home, built and designed with the help of Victoria Cantwell, can be rented by the night through airbnb.com by searching for “Charming Rustic Cabin in Argyle”. Love it. Almost everything is recycled with charming antiques and other interesting things. I love this. And everything all you guys do. I am so excited about the tiny house movement and also using recycled materials. 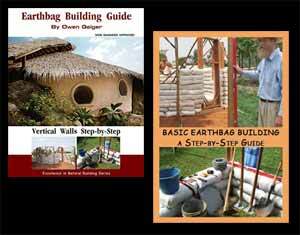 I also love the creativity of the cob and earth bag homes and living more sustainably. My family is going to get land within the next year and I can’t wait to change our lives. I really admire what you do Owen and everyone in this field. Thank you very much. Good luck on your project.